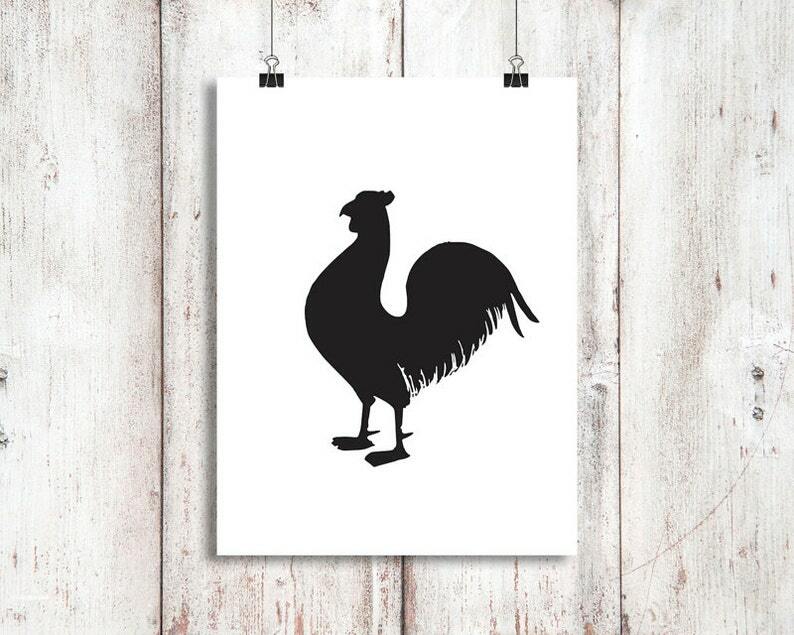 This is a listing for our trending animal print, "ROOSTER" digital download print. It's quick and easy. Just print up our design and put into your favorite frame. That's it, you're done!! *I also included without cutting guides as some printers have auto size settings that can change the size of the cutting guide. *Being that these are digital downloads, there are NO REFUNDS. Thank you for understanding. *All items from Boondocks West are FOR PERSONAL USE ONLY. NO commercial/resale use permitted. *By purchasing our products, you may print as many copies as you'd like of the art print for your own use in your home and/or as gifts to others. However, Please refrain from forwarding the purchased files to others. Thank you. 3) Once payment has been verified (won't take long at all), you will be taken to a download page on Etsy. 4) Click on the "DOWNLOAD" link. This will allow you to save the files to your computer. *Once downloaded just open the file from your computer in any photo viewing program and print. Quality of the print depends on printer settings and paper and is buyers responsibility. (Tip: For best results, check your print settings, select the best quality printing and select your paper type). Your purchase is an agreement by you to abide by the copyright agreement. NO commercial/resale use permitted. Thank you.